Increase Kazaa search and download speed, locate more file resources, automatically resume broken download, mare full usage of your Internet bandwidth, and optimize your Internet connection. Kazaa Booster is a small add-on application for Kazaa Media Desktop. It increases Kazaa search and download speed, continuously locate more file resources, automatically resume broken download, mare full usage of your Internet bandwidth, and optimize your Internet connection. It comes with option interface to give you manual override. Kazaa Booster is a small add-on application for Kazaa Media Desktop. It increases Kazaa search and download speed, continuously locate more file resources, automatically resume broken download, mare full usage of your Internet bandwidth, and optimize your Internet connection. MP3 Player - Morpher - Such a powerful audio tool that can fulfill all your request. Digiters Sound Recorder - With the recorder you can directly digitize recordings of music cassette tapes, streaming Internet audio, vinyl LPs, videos, ect. Top RM Converter - Convert, split or join RealMedia files to AVI, MPEG and WMV. 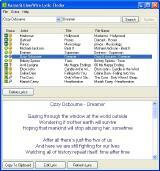 Kazaa LimeWire Companion- A lyrics finder and download accelerator for Kazaa and LimeWire. It allows you retrieve lyrics at the same time when you are downloading MP3 files from the FastTrack and Gnutella networks. 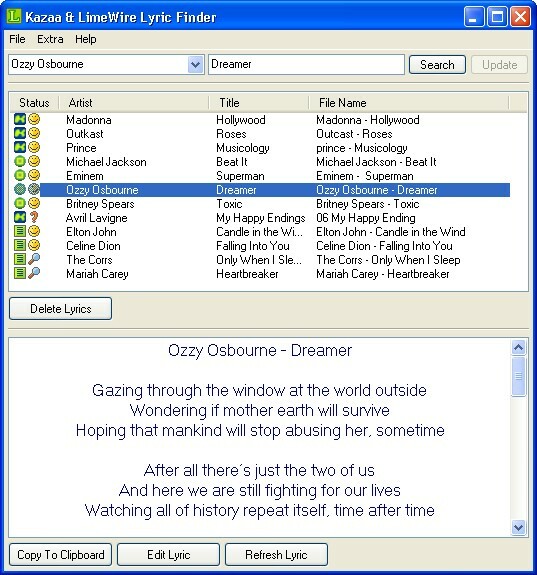 01-mp3search.exe - Search for mp3 files on the Internet. The program operates with 30 searchers simoultaneously, in addition to that it communicates with its database. ImTOO MP3 WAV Converter - Convert between all of popular audio formats, such as MP3, WAV, WMA, MP4, M4A, MP2, VQF, APE, OGG, AAC and FLAC to MP3 or WAV.